The port city lines up outside the latticed windows. 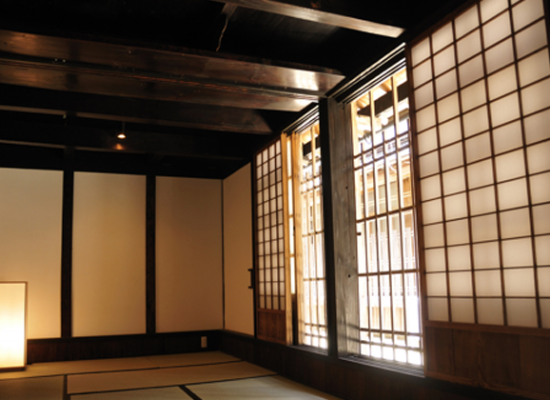 The laughter of children, have fun getting lost in the alleyways, 'Sakishoji'. Open the latticed doors and be welcomed by a modern space, finished with a white mortar. The contrast between pillars and beams is attractive in our 2nd floor living space. 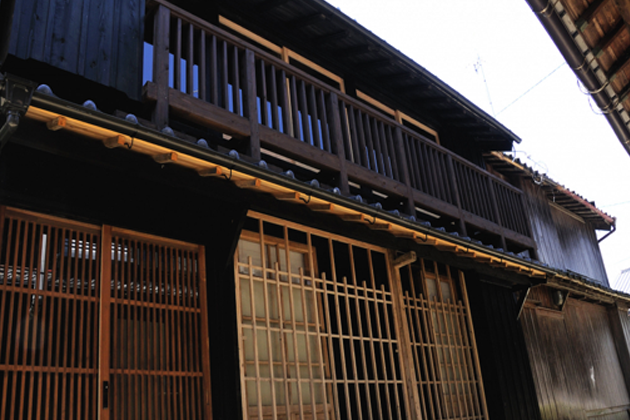 Lattice that pleasantly contrasts inside and out, 'Sakishoji' the former dwelling of fishermen.